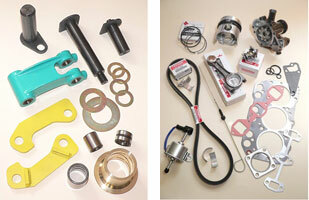 We carry a wide range of quality parts and provide a prompt service with next day delivery. Our service engineer has 20 years experience in the plant industry which allows us to provide an excellent after sales service ranging from routine maintenance, break down repairs and warranty work. For more information on our range of Parts available, please complete our contact form or telephone Jim on 07703 253800 or the office on 01903 211011.